We're So Easy To Work With!! If you provide the sound system... that's great! 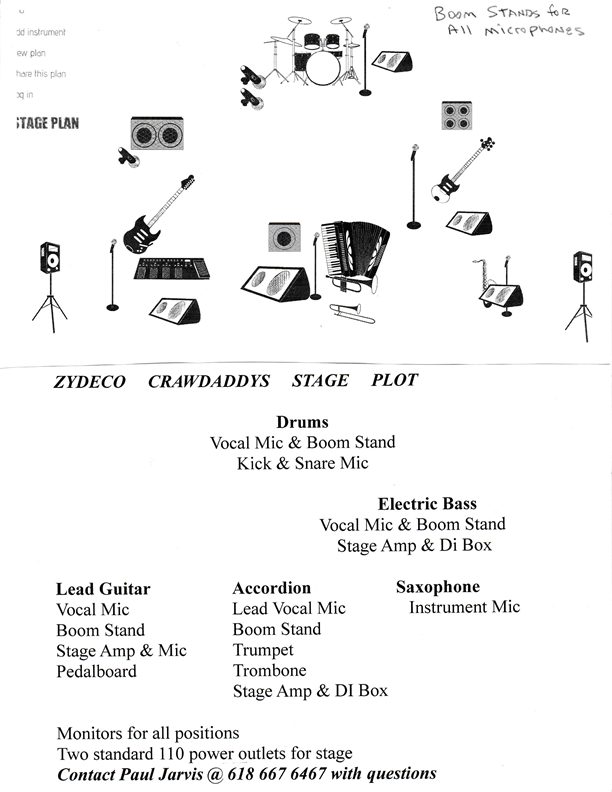 Attached is a Stage Plot of how we usually set up. If not, just make sure we have somewhere to set up and two 110 circuits that can supply uninterupted/complete power. If you're event is providing hardware, please make sure we have boom stands for the vocal mics.